The Best Sling Patio Furniture - You Will Want to Stay in the Landings! Sometimes you just want to keep things simple. No nonsense, to the point, all function and no fluff simple. 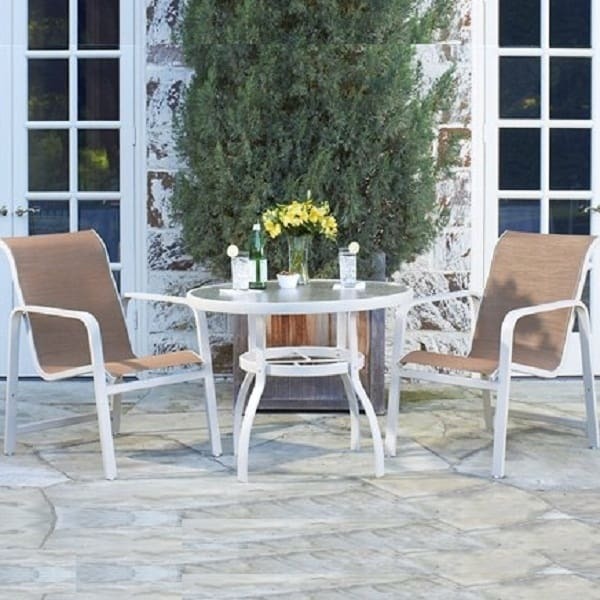 The Landings Sling Dining Set by Woodard is just the thing. 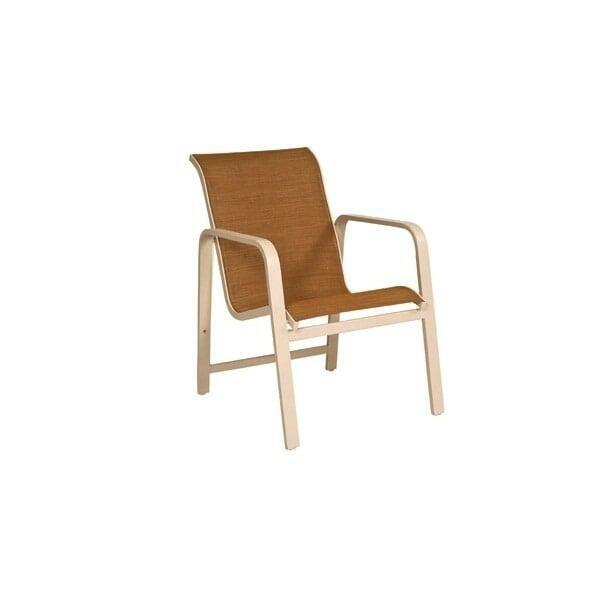 Easy and uncomplicated, this sling patio furniture is a trouble-free and no maintenance solution for poolside dining. Just because it is unadorned, doesn’t mean it is lacking in quality. The Landings is yet another example of Woodard craftsmanship at work. 140 years in the patio furniture business has given Woodard an edge and it is evident in everything they build, from the most simple to the most detailed. The Landings is commercial grade all aluminum construction with an electrostatically applied powder-coat finish. The sling seating is PVC coated and ready for anything; wet towels and bathing suits, chlorine, a rain shower, spilled soft drinks and the hot summer sun. Available in a variety of Woodard’s fine finishes and sling fabric choices, simple never looked so good.